CG2010, Other Acoustic Guitar from Walden. 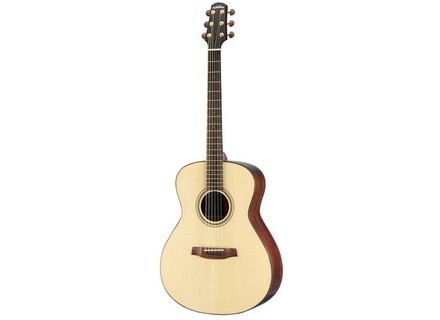 Walden has extended its Concorda line of acoustics with the all solid CG2010 grand auditorium guitar. Featuring a solid Engelmann Spruce top and solid Rosewood back and sides, the CG2010 has a brilliant high gloss finish. No pricing information has been announced yet. Check out www.americanmusicandsound.com/wal.html for more info. Molten Voltage None More Black Footswitch None More Black is described by Molten Voltage as "The World's Simplest MIDI Footswitch" : it has one button and a MIDI out jack, and that's it. [NAMM] V-Picks Snake Picks V-Picks has released its Snake pick at Winter NAMM. Molten MIDI Footswitch Molten MIDI is designed to provide a compact, rugged, and simple way to control a MIDI device without datawheels, little screens, etc., and for products like Digitech's Whammy 4 that can't save presets.